DigitalGenius is the Artificial Intelligence platform that puts your contact centre on autopilot by understanding conversations, automating repetitive processes and delighting your customers. The platform is powered by a deep learning AI engine that understands your customers’ objectives, then drives automated resolutions through APIs that connect seamlessly to your own backend systems. On average, 70% of customer service inquiries require an agent to perform various actions in third-party systems. It forces their agents to flip constantly between different screens (Salesforce, Shopify, ERP, etc..) to merely solve a simple case. This requires time and unnecessary effort, which can slow down your team and disappoint your customers. The DigitalGenius platform integrates with your existing CRM, and allows for fast, effective end-to-end resolution of customer inquiries through deep learning and open APIs.  DigitalGenius is for Contact Centres with high volumes of repetitive, complex inquiries that require third-party systems to solve them, such as refunds, subscription changes, cancellations, upgrade requests and more. DigitalGenius AutoPilot enables end-to-end case resolution of your common repetitive journeys without human intervention. This frees agents to focus on higher-level conversations, while lowering the costs of your customer service operations. Full automation of your customer support’s most repetitive and expensive tickets is finally here. When a new message comes in via email, social media, mobile messaging or live chat, DigitalGenius CoPilot suggests the best answer to the agent. If the prediction falls above a certain confidence level, the answer will be automated. It’s where machine learning and human intelligence combine to deliver on increasing customer expectations. Tickets often require information and actions from multiple systems to resolve them. This can be time-consuming for agents and costly for your business. AutoPilot automates full end-to-end resolutions across multiple systems, so you don’t have to continually hire new agents to keep up with surging volumes. Repeatable tasks are now automated. Turning on AutoPilot mode allows your agents to focus on solving the complex, non-repeatable cases their human brains were built for. DigitalGenius CoPilot rapidly classifies tickets and customer support requests. By placing messages in the right categories and routing them to the right team, DigitalGenius can increase agent capacity by 30%. In addition, the AI learns from every agent interaction, so it gets smarter over time. DigitalGenius CoPilot suggests the right answers to your agents, so they no longer have to search through templates or knowledge articles. And of course, no more copy-pasting from word documents. With DigitalGenius CoPilot, agents can delegate routine tasks, reduce strain, and concentrate on offering the best experience to customers. We pull data from your existing CRM and customer service console, and allow you to easily train, test and tweak your AI models so they work for your business and your customers. Integrate directly into your Zendesk environment and start automating your customers’ end-to-end journeys, using AI that easily learns from your agents’ historical interactions.